Subject: OPEN HOUSES are back ~ join the fun! Enjoy complementary cruises between 10am - 12pm or 2pm-4pm, while mid day we'll be hanging out with some goodies prepared a-la-barbecue. Learn more about our different programs and paths to the water while getting your daily dose of VITAMIN SEA! We'd love to take you out on the water and spend some time properly introducing our magic with you, but you need to register that interest with our office to be included in this complimentary offer. Please pre-register your interest here. Long weekends are great, but lo-o-o-ng weekends are better!! Planning for the May Long Weekend Flotilla is underway! Typically, we sailors make it a five day weekend ...why not? The fun is in the journey-- and we here are all happiest if that journey is on a sailboat! Especially with a group of boats and friendly sailors. A couple of seasons ago we had a flotilla of 12 boats go into the San Juan Islands and we'd like to do a return trip for this year's May Loooong Weekend, May 20-24 2011. The boats will be leaving downtown Vancouver on Friday May 20th. 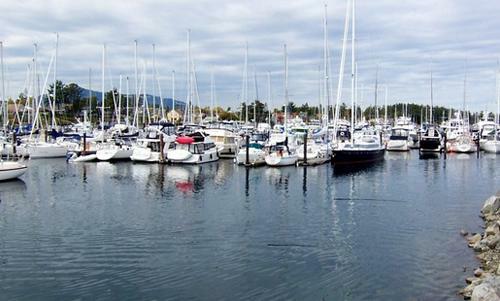 First port of call will be Point Roberts Marina. Here we can get our cruising boat permits to enter U.S. waters. Make sure you bring your passports and all the proper boat paperwork. There are local bar/cafes here for an evening social gathering. The next morning we head off for Roche Harbour! This is a BIG favourite of Canadian sailors due to the charm of the buildings and services, walks of historical interest, food and drink spots, a spa and some fun shopping. On Sunday the 22nd of May we have a short haul down to Friday Harbour: there are bike rentals, art galleries, afternoon movies at the theatre, shopping, and maybe some good old relaxing on your boat with your favourite book or a friendly game of cards. Monday is the 23rd of May and our journey takes us into Bedwell Harbour to become Canadian again, and then it's up to Montague Harbour for an overnight on a mooring buoy or at anchor. Montague Harbour is at Galiano Island and is a lovely marine park for hiking and photo taking. If we're lucky the famous BAKERY BARGE will be there! They make incredible cinnamon buns and pies! We'll have to order ahead. On Tuesday the 24th, slack water at Porlier Pass is at 1039... plenty of time to have breakfast and get up Trincomali Channel, through the pass and then home to Vancouver by the end of the daylight. The enjoyment of life exponentially increases with the vacations you look forward to ... one every six months should do it! Contact Marla@cooperboating.com for information on which boats are available for this spring vacation. 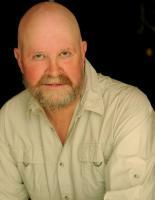 A big welcome back to Steve Cropper - back in the lead of the Sidney dock after a break from Cooper the past few years (to build a home on Mayne Island). Steve started as a few of our regular crew did - first as a client - renting boats out of Granville Island, then becoming an instructor, followed by some time working in the office. He spent some time nearby as captain of small commercial vessels. Now he's back taking the lead for the care of our boats based in Sidney for spectacular boating courses and bareboat charters. Steve also has a background - pre boat biz - of TV and film production - we think our You Tube channel shall benefit by better material this season! Perhaps your ship has come in? To enjoy boat ownership these days, you first must find moorage for your boat. Well, Cooper Boating has a couple slips available, especially special in that we have a couple spaces at the world class PORT SIDNEY marina for boats coming into our management program. Management boats offset ownership costs with charter revenue in our proven program. For more information on yacht management with Cooper, contact Colin. We are also happy to help you with the purchase of your boat. One coming shortly is a Bavaria 46 FOUR CABIN. Contact Roger for information on this boat. We're delighted to announce the addition of a loaded Bayliner 3388 for the Sidney fleet. This boat is arriving shortly and we would be delighted to book your spectacular summer holiday from the picturesque Port Sidney Marina. Contact Dawn at our Sidney office for more details on this great boat. This boat comes with a warning - get support for your neck. Why? Because she's sure to turn heads. Following up on the success of Maverick and Sainte Reine II in the fleet, Halo is the latest addition from this French yard and the boat has very aggressive styling and fantastic sailing characteristics. Unlike the other two, Halo is offered in our Sidney location.